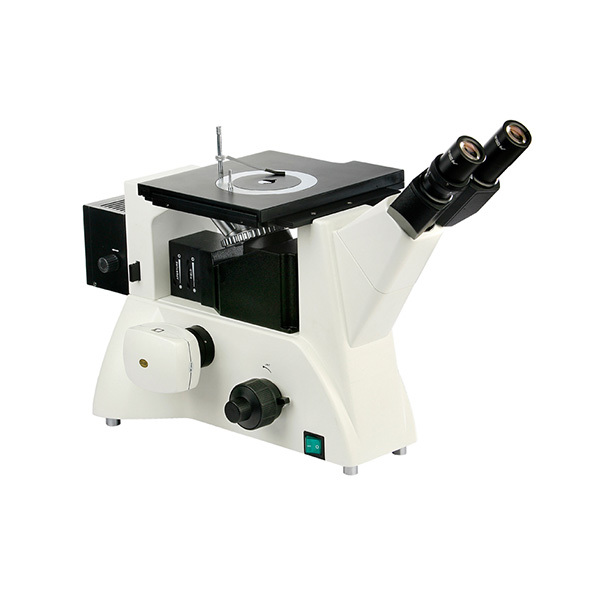 OBT5100 Trinocular Inverted Metallurgical Microscope is equipped excellent infinity optical system and modularization function design, you can easily upgrade the system to achieve polarization observation, dark field observation and other functions. operation. Ideal design for ergonomic requirements, make the operation more convenient and comfortable, and space wider. Suitable for microscopic observation of the microstructure and surface morphology, it is the ideal instrument for metal, mineralogy, precision engineering research. 2.3.Objective: Infinity, long working distance, professional Metallurgical objective 50 times and 100 times, is a semi-apochromatic objective lens, a substantial increase in image clarity. 2.4.Eyepiece: High eye-point, wide field of vision flat field eyepieces, PL10x / 22mm, providing a more wide flat space observation and installation of all types for measuring micrometer. 2.5.Observation tube:Compensation Free Trinocular,diopter can be adjusted,45°tilt,can photography and collection and preservation the observed image,configuring computers and specialized software for image analysis. 2.6.Focusing mechanism: Low hand position coarse tune coaxial Focusing mechanism,with coarse tension adjustment device,coarse per rotation stroke 38mm,fine-tuning accuracy 0.002mm. 2.7.Lighting system: Reflective Corazon Illuminator with the iris diaphragm and center adjustable field diaphragm. 2.8.Stage: Can be installed coaxial low hand position adjustment moving feet and stage extension plate,expand the application space,to meet the different needs of customers to use. Looking for ideal Metallurgical Microscope With Polarizing Manufacturer & supplier ? We have a wide selection at great prices to help you get creative. All the Trinocular Inverted Microscope are quality guaranteed. We are China Origin Factory of OBT5100 Metallurgical Microscope. If you have any question, please feel free to contact us.